It would be terrifying if baby wipes caused food allergies, right? Good thing we have zero evidence of that (phew). A recent study was reported as if this is the answer to why everybody's allergic to peanuts, but guess what? The study didn't prove that. And it didn't involve baby wipes. It didn't even involve (human) babies. The story: Children with food allergies often show signs of eczema (which appears as dry, red skin) early in life. We rely on our skin to be a barrier between us and the outside world, and it seems that children can be sensitised to food allergens (such as peanuts, for example) through their disrupted skin. That much was already known, but so far there was no good way to study the connection in the laboratory - for example, in mice. The mice were bred so that they all had a genetic predisposition to an eczema-like skin condition. ... and sodium lauryl sulfate (SLS), a soap-like chemical often found in cleansers and personal care products. SLS can disrupt and irritate the skin if you use enough of it, but it's not usually an issue with the amounts that are in products we use. 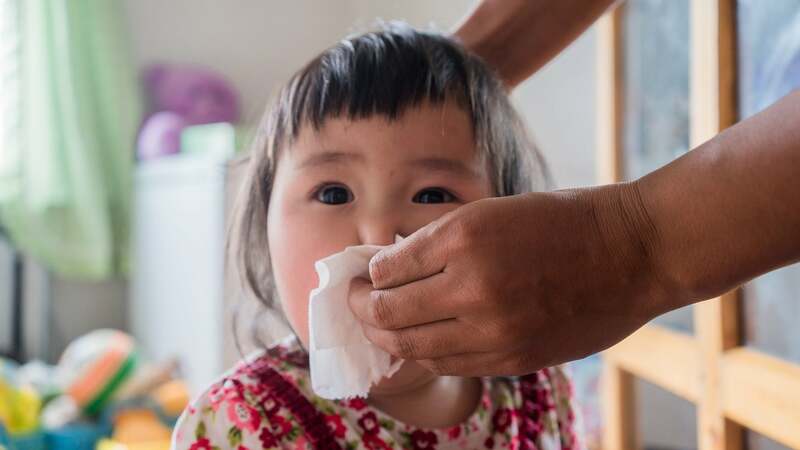 If parents start avoiding baby wipes as a result of this study, or obsessing about rinsing off any residue, "I think that's unnecessary, and a lot more anxiety and work than they need," says paediatric allergist David Stukus, who was not involved in the study. SLS was just meant to be an example of a common cleansing ingredient, says Joan Cook-Mills, senior author of the new study, and one that conveniently she already had in the lab. She also stressed that all four factors were necessary: She tried applying just the SLS and peanut allergens, but couldn't trigger the allergies that way. It's also a long way from a mouse study like this to any useful conclusions about human babies in the real world. "Scientists always want to see one or more other groups confirm such a finding before they're ready to jump to the conclusion of what consumers ought to do with that info," says Steve Taylor, who co-directs the University of Nebraska-Lincoln Food Allergy Research and Resource Program and was not involved in this study. He pointed out that the medical and scientific community has screwed up in the past, by making recommendations too quickly on preliminary research. Doctors told parents not to feed highly allergenic foods to children, but later on we learned that eating these foods early in life actually protects infants from developing allergies. Better not to jump to conclusions until we really know what's going on. The takeaway: I'll let Dr Stukus have the last word: "I think the study was brilliant, but the interpretation and extrapolation to baby wipes in humans is not supported in any way."